Muay Thai seems to be the dominant stand-up style of modern day Mixed Martial Artists. It gives its practitioners a deadly combination of speed and power. But more than that, it has a rich tradition. I have always been fascinated by the traditional Muay Thai ceremonies and traditions. I did a little bit of research and discovered this legend about the origins of Muay Thai. 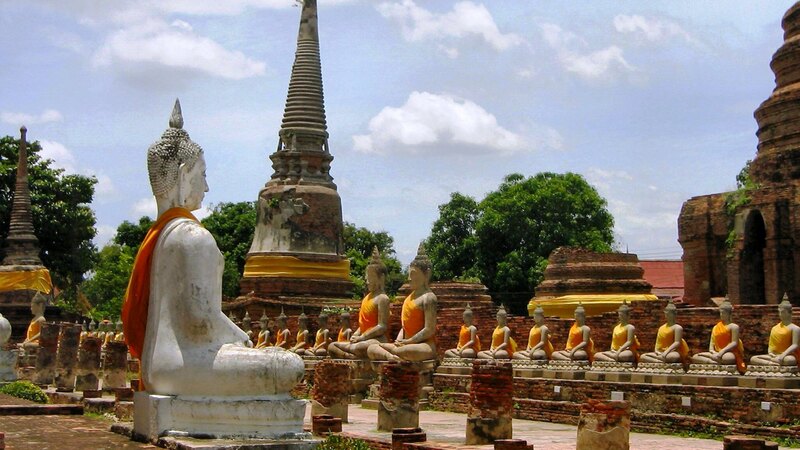 According to Thai folklore at the time of the fall of the ancient Siamese capital of Ayutthaya Kingdom in 1767, the invading Burmese troops rounded up thousands of Siamese and took them to Burma as prisoners. Among them were a large number of kickboxers, who were taken to the city of Ava. In 1774, in the Burmese city of Rangoon, the Burmese King decided to organize a seven-day, seven-night religious festival in honor of Buddha’s relics. The festivities included many forms of entertainment and sword-fighting matches. At one point, the King wanted to see how Muay Thai would compare to the Burmese Boxing. 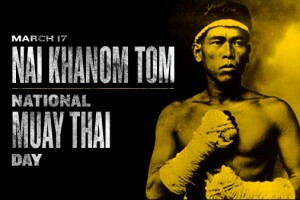 A man named Nai Khanomtom was selected to fight against the Burmese champion. The boxing ring was set up in front of the throne and Nai Khanomtom did a traditional Thai pre-fight dance, to pay his respects to his teachers and ancestors, as well as the spectators, dancing around his opponent. This amazed and perplexed the Burmese people, who thought it was black magic. When the fight began, Nai Khanomtom charged out, using punches, kicks, elbows, and knees to pummel his opponent until he collapsed. However, the Burmese referee said the Burmese champion was too distracted by the dance, and declared the knockout invalid. The King then asked if Nai Khanomtom would fight nine other Burmese champions to prove himself. He agreed and fought them all, one after the other with no rest periods in between. His last opponent was a great kickboxing teacher. Nai Khanomtom destroyed him with his powerful kicks and no one else dared to challenge him. 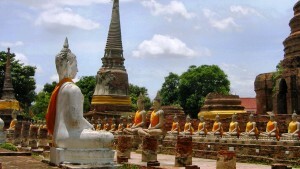 The King granted Nai Khanomtom freedom along with either riches or two beautiful Burmese wives. Nai Khanomtom chose the wives as he said that money was easier to find. He then departed with his wives for Siam. 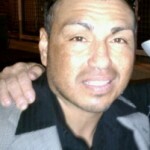 His feat is celebrated every March 17 as Boxer’s Day. Previous articleSHOOTING THE $%#& WITH RONDA ROUSEY!!! Americana bring the style of 90's punk rock and mma together to create a unique style.